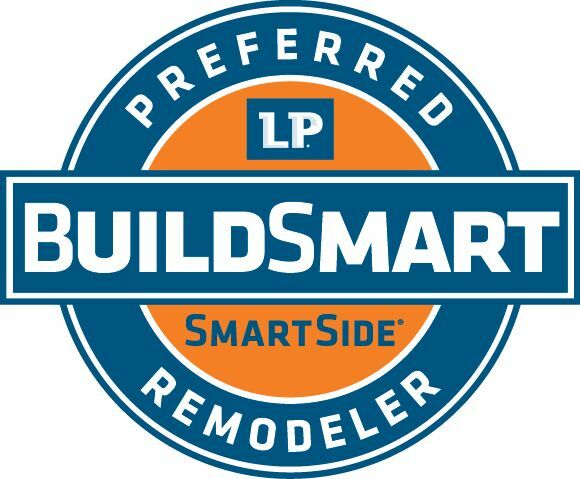 Big Fish Contracting has been a part of the LP BuildSmart Preferred Remodeling program for over 5 years. This means our team is dedicated to delivering an uncompromised level of workmanship and quality to every home we work on. 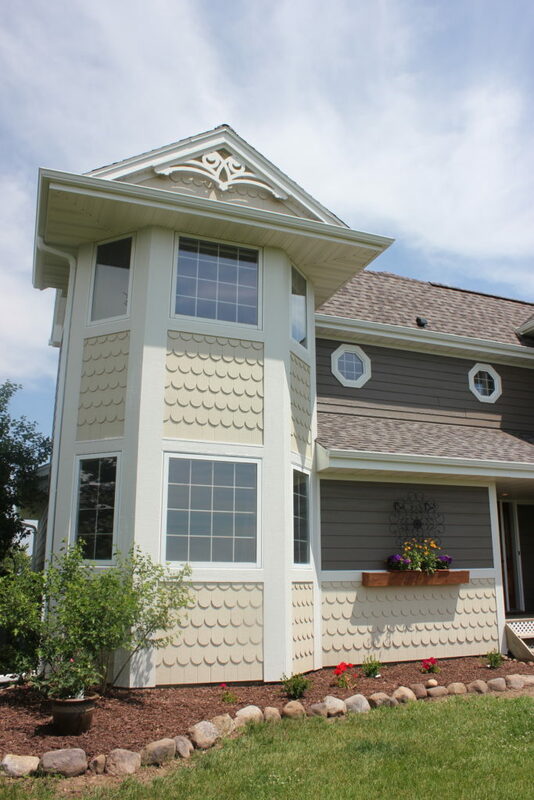 We have a portfolio we are proud to display and would love to add your home to our long list of awesome siding transformations. LP Smartside offers unparalleled curb appeal. The rich wood grain texture combined with the 16′ lengths, which reduce seams, create a beautiful look and feel on any home. 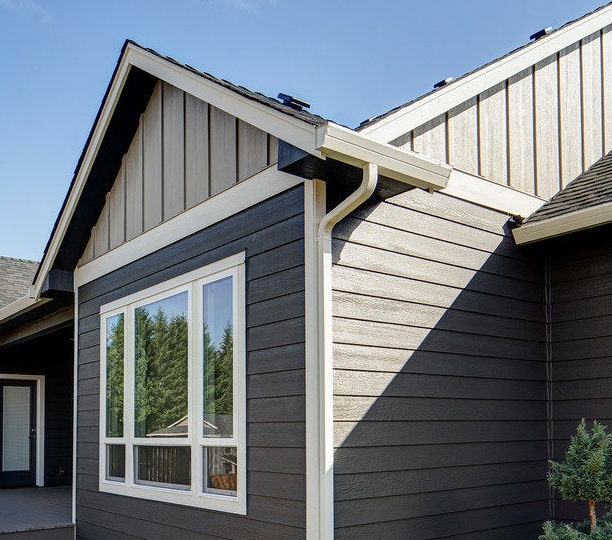 Our carpenters love the versatility of the product lines LP SmartSide Trim & Siding offers. Because it a wood product, it is clean to work with and allows us the flexibility to be creative and unique with our design capabilities. 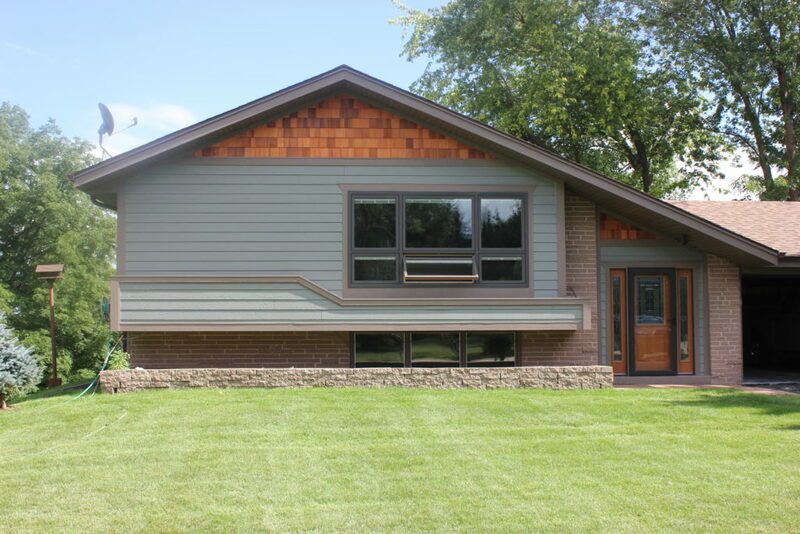 LP Horizontal Lap siding is our most popular style of siding installed. Even though you are able to order LP Smartside primed and have it painted after it is on the home, we always recommend having it factory finished. You can read more about the factory finish here. 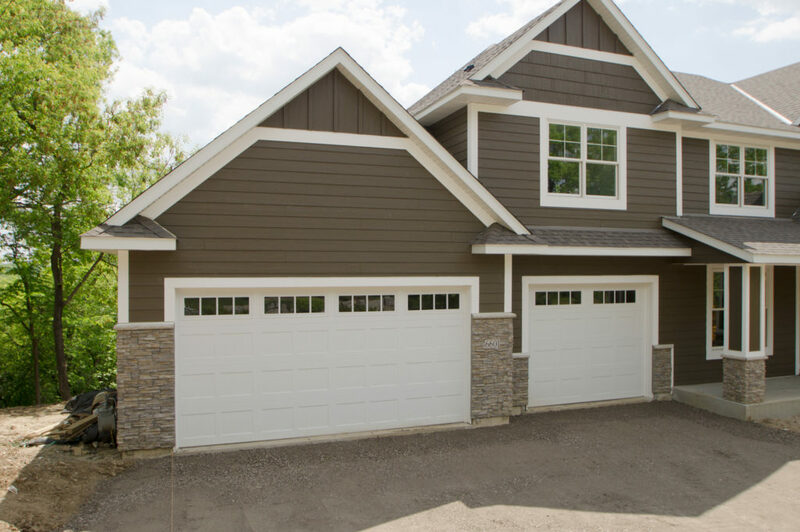 Y0ou can have it painted any color you would like but to streamline the process and reduce some cost, ABC Supply Company has partnered with Cedar Siding Inc to stock 12 of the most popular colors. One of the distinct advantages of using the LP Smartside Products is the consistency of appearance from product to product. The rich wood grain finish on their Cedar Strand Trims is beautiful and unique but they also offer a smooth finish for those trying to match the antiquity of certain eras and styles. LP Smartside offers trim in a variety of widths and because all their trim is 16′ lengths, there are fewer seams. LP Smartside has really lead the industry with their soffit panel system. 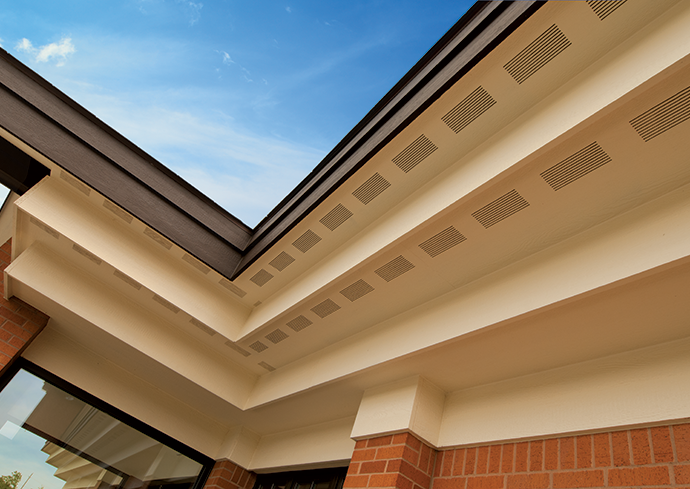 The soffit panels come with precisely cut vents offering 10 square inches of ventilation per linear foot. 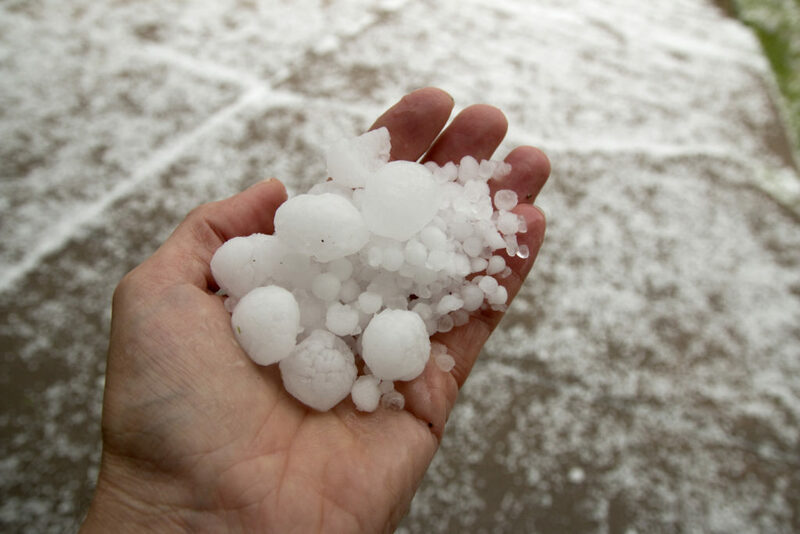 It is also available in non-vented lengths for installing on gables or porches. It comes in pre-cut widths of 12″, 16″ or 24″ which reduce labor costs during installation. The 1/8″ vents are designed to keep hornets and bees out as well. LP Smartside offers a couple of different options in their Cedar Texture Shakes. Some prefer the clean lines of the Perfection Shake while others enjoy the natural wood look of the Staggered Edge Shake. 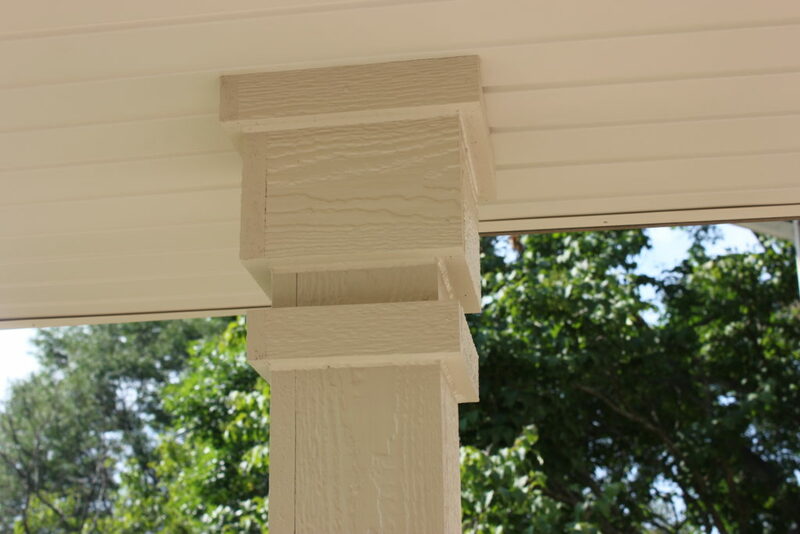 Either one enhances the charm and beauty of any homes curb appeal without the maintenance of real wood. We now have the ability to offer a factory pre-finish on the shake that is designed to mimic the beauty of a real wood stain finish. 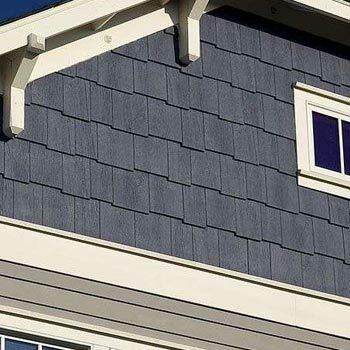 LP Smartside also offers a Scalloped siding to enhance the beauty of your home. 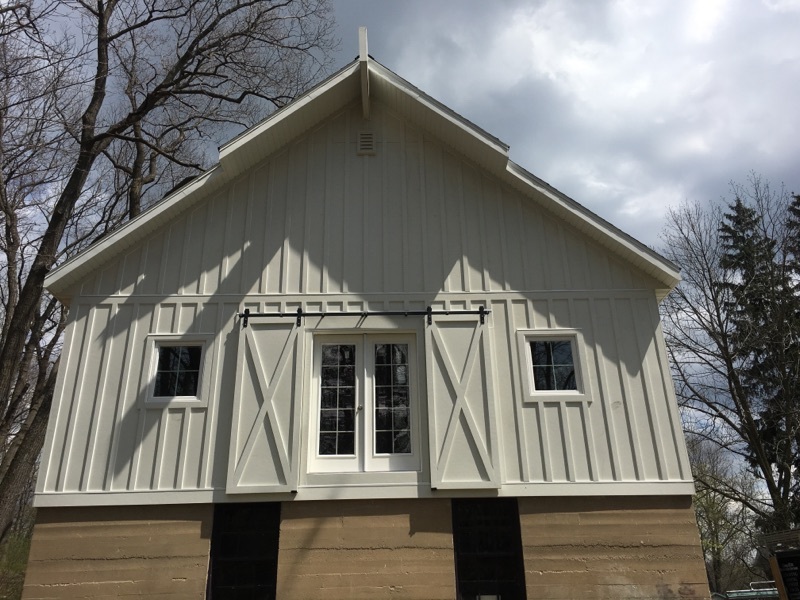 Scalloped siding is traditionally found on Victorian homes, but we have been able to use it in different applications to help bring to life the hidden beauty of many different style homes.